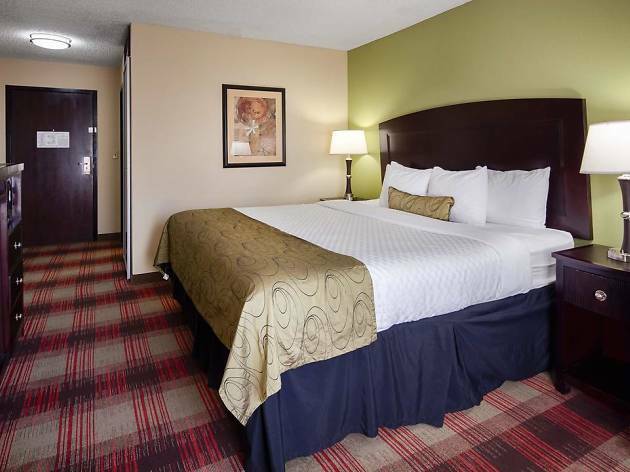 The Best Western Plus Addison Galleria is close to corporate offices, bars, restaurants and shopping malls in Addison. You’ll be within walking distance of the great bars and restaurants on Belt Line, a few minutes’ drive from Galleria Dallas mall and 14 miles from downtown Dallas. The plane geeks and history buffs will love to visit the Cavanaugh Flight Museum in nearby Addison Airport. 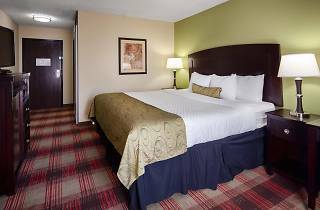 The rooms have all the amenities you’ve come to expect, including a microwave, refrigerator, iron, ironing board, cable and satellite TV, work area and high-speed internet access. ADA approved accessible rooms are available as well. The hotel offers a full complimentary breakfast, an exercise room, laundry facilities, a business center, self-parking and an outdoor pool. Pets are not allowed.